Andrew Tweito of Funnel Boom was the featured guest on the Digital Marketer Perpetual Traffic podcast today. (BTW the podcast is one of the best sources for up to date info on the Facebook Ads platform). Andrew is one of the most knowledgeable people I’ve heard speak about analyzing your Facebook numbers. He shared some insightful tips about figuring out why your Facebook Ads dashboard doesn’t always match up perfectly to your website analytics numbers. For me, the highlight was hearing that Facebook reports conversion based on when the click happened. Your Google Analytics, shopping cart, or landing page generally reports based on when the person completes the transaction. 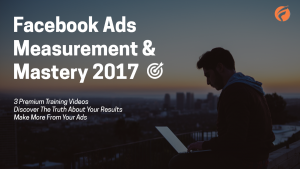 On the podcast Andrew shared a link to his Pay What You Want video training: Facebook Ad Measurement & Mastery. Throw him whatever you can afford his hard work. He mentioned the price will go up to $99 soon, so act fast to get the name your own price offer. I purchased it, but haven’t gotten a chance to dig in it yet. But based on what he shared during the podcast, I was sold. Stronger graphics are one of the first places we go when trying to get that extra boost in ad click-through rate. 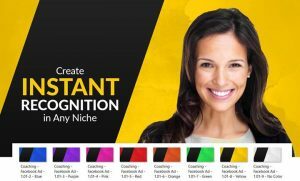 Jeff Minnichbach, a designer we occasionally hire to spice up our images released a free ad template package for designing Facebook ads. Download his Facebook Ad template for free, and reach out to him here if you’d like to hire him. This month’s Free Download from Code Canyon is the WordPress Plugin for Facebook Messenger. It’s usually $25. It allows you to put a messenger button on any of your WordPress sites, so visitors can chat with you through Facebook messenger without leaving your site. Check out the video below, and grab the free download while it lasts.